What’s the connection of these indigenous regions to Houston? Beyond the fantastic cultural offerings that Bolivians and other immigrants from the Amazon region have brought to Houston (have you tried the Andes Café’s silpancho, a steak served schnitzel-style with rice, potatoes and eggs? ), we have much to learn from Amazon people’s protection of forest resources at a time when super storms like Harvey increasingly threaten us. The Amazon represents the world’s largest tropical rainforest. It hosts the planet’s largest freshwater system and more than 10 percent of Earth’s biodiversity. The 390 billion trees of the Amazon absorb huge quantities of carbon from the atmosphere, while collectively regulating regional and even global weather patterns. Given the challenge to humanity posed by climate change, the future of the planet is closely tied to the future of the Amazon. We know protected areas play a crucial role in securing forest cover. 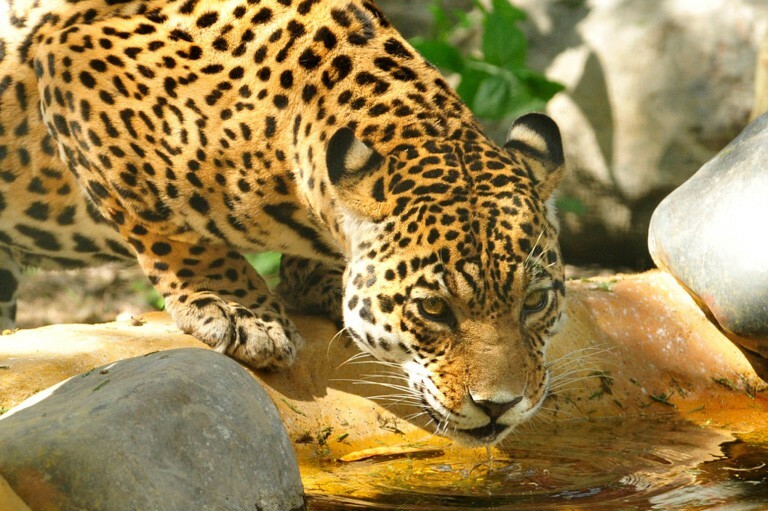 By 2013, Amazonian nations had collectively dedicated 22.3 percent of the Amazon basin to national parks. In the previous 13 years, forest loss outside of protected areas exceeded that inside protected areas by a factor of six. But perhaps even more interesting, while just over 1 percent of protected area forest was lost during that time, areas managed by indigenous groups lost just 0.8 percent of forest. 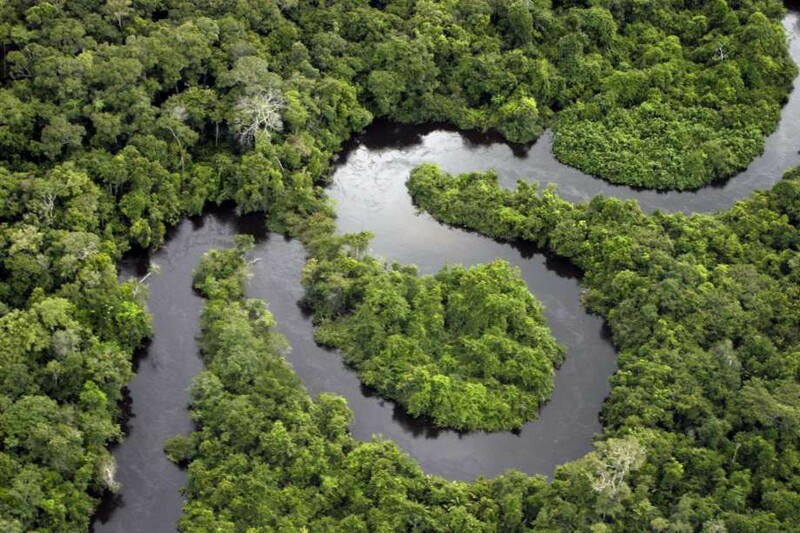 The Amazon represents the world’s largest tropical rainforest. It hosts the planet’s largest freshwater system and more than 10 percent of Earth’s biodiversity. Scientists estimate that at least 60 percent of Amazonian forest cover must remain intact to ensure the long-term stability of the Amazonian climate cycle. To put that target in perspective, Europe and the United States have retained just over a third of forest cover. Infrastructure in the Amazon basin is growing quickly — a trend anticipated to continue and one that will understandably place greater pressure on protected areas and indigenous territories. Since the beginning of this century, the Wildlife Conservation Society has worked with several Bolivian indigenous groups, including the Lecos and the Tacana (both from the Madidi region). Recognizing the need to better share the value of indigenous territorial management with Bolivian society, we worked with indigenous groups to create materials documenting the environmental, economic and socio-cultural benefits provided by indigenous territorial management. Environmental benefits include the protection of critical ecosystem functions — work for which the Tacana were recently awarded a United Nations Equator Prize. Such functions include retaining forest cover and significantly reducing deforestation, as well as securing the protection of the headwaters of key watersheds. The Tacana have likewise worked to conserve threatened wildlife and support fisheries in headwaters and wetlands. The economic benefits derive from the natural resources that indigenous communities harvest sustainably to improve local incomes. These include incense derived from tree resin in mountain forests; a wild cacao responsible for a prize-winning chocolate; and spectacled caiman, the skins of which are sold to European fashion houses and whose meat finds its way into gourmet restaurants, such as the popular Gustu Restaurant in La Paz. Such natural resource management efforts have helped to double family incomes over the last decade. Photo credit: Julie Larsen Maher/WCS. Socio-cultural benefits include the cataloging of indigenous peoples’ deep knowledge of medicinal plants in the forests. For example, in the region that the Leco and Tacana now formally own, quinine was harvested a century ago to combat malaria around the world. 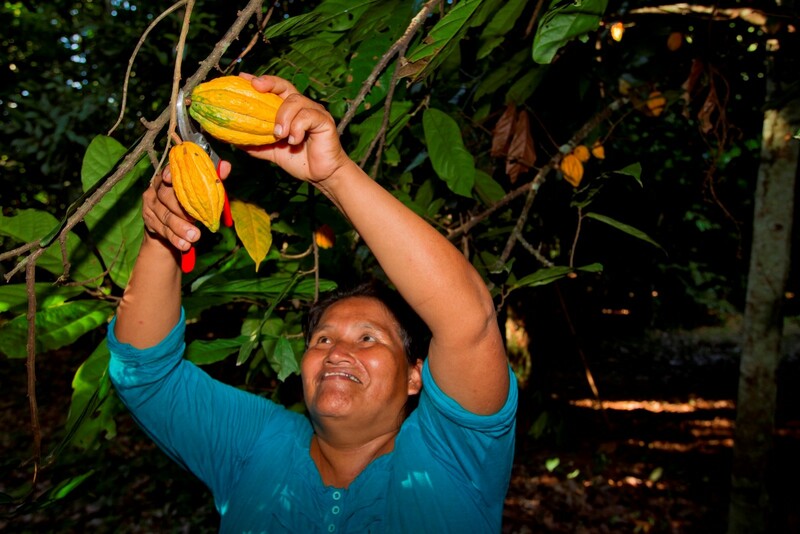 The indigenous territories also increase food security, whether in the form of family gardens or via subsistence hunting that secures a vital source of dietary protein. Environmental benefits of indigenous territorial management include the protection of critical ecosystem functions. These include retaining forest cover and significantly reducing deforestation, as well as securing the protection of the headwaters of key watersheds. There is huge diversity among indigenous communities across the Amazon. While several groups continue to avoid contact with western society, other groups that have been in contact for centuries still preserve their cultural identities. Both the Leco and Tacana languages are endangered and, across the region, steps are being taken to recover languages, music, dance, oral histories, material culture and cuisine. All of these benefits associated with management of their own territory by Amazon communities must be shared and replicated. Our ability to conserve biodiversity and combat climate change depends greatly on the world’s indigenous people. As Houston’s long recovery from Harvey continues, we neglect their wisdom and commitment at our peril. Rob Wallace is a Bolivia-based senior conservation scientist in the Latin America and Caribbean Program at WCS (Wildlife Conservation Society). Originally published at www.houstonchronicle.com on April 23, 2018.